U.S. importers are rapidly moving more containers through Port Metro Vancouver and to Chicago and the upper Midwest, dealing another blow to the ports of Seattle and Tacoma. A Ocean Shipping Consultants study and an analysis of West Coast port volumes show Vancouver has joined Prince Rupert, located 500 miles to the north, as a major competitor to Puget Sound ports for U.S. imports. The share of Vancouver’s containerized imports moving to the U.S. expanded from 7.5 percent in 2008 to 22.9 percent in 2013, according to the report by Ocean Shipping Consultants. In the first quarter, Vancouver increased its share of total West Coast container volume, both imports and exports, by 2 percentage points to 13 percent compared to the same period a year ago, according to a JOC.com analysis of the throughput of major ports from Lazardo Cardenas, Mexico, to Prince Rupert. A 15 percent year-over-year increase in traffic to 735,000 20-foot-equivalent units fueled the market share gain. The ports of Tacoma and Seattle held onto their market share of 11 percent in the first quarter, as volume inched up 1 percent to 631,000 TEUs compared to the same period in 2014. The changes in Vancouver’s market share and rapid growth in the first quarter reflects the surge of diverted cargo from U.S. West Coast ports that resulted from West Coast labor disruptions during the contract negotiations between the International Longshore and Warehouse Union and the Pacific Maritime Association. However, container volumes in Seattle-Tacoma appear to be stabilizing since the PMA and ILWU memberships approved the new contract in May. Total container volume at the port complex was flat in May compared to the same month last year. International imports declined slightly by 0.7 percent and international exports were down 4.7 percent. Total container volume year-to-date through May was up 1.6 percent compared to the same period last year. Despite this stabilization, Seattle-Tacoma has lost three percent of its market share to its Canadian competitors in the first quarter of 2015 on a year-over-year basis. While the growth in U.S. imports moving through Canadian Pacific Coast ports also affects California ports, Ocean Shipping Consultants said the Puget Sound ports of Seattle and Tacoma compete more directly with Vancouver and Prince Rupert because all four of the Pacific Northwest ports look to Chicago and the upper Midwest as the primary destination for their U.S. containerized imports from Asia. This development is borne out by the declining market share of Seattle-Tacoma and the increased market share of the Canadian ports for more than a decade. The total container volume of imports and exports for the Pacific Northwest region in 2013 was 7.54 million TEUs, according to the study. Vancouver’s share of that total was 37.5 percent, which was up from 31.5 percent in 2011 and 23.7 percent in 2000. Prince Rupert’s Fairview container terminal opened in late 2007. It’s container volumes climbed rapidly each year until 2013, when the container volume suddenly declined by 5 percent. Prince Rupert’s share of total regional container volume picked up last year and has leveled off at about 7 percent, although the port announced in April that it will build a second berth at the Fairview terminal that will increase total capacity to more than 1 million TEUs a year. Prince Rupert, which has no local market to speak of, was envisioned from the beginning as being a port that would build its volumes each year based on growth in the U.S. market. Canadian National Railroad offers direct intermodal service to Chicago, and south to Memphis and New Orleans. As it turned out, however, Prince Rupert is increasing its market share in Canada for both imports and exports while maintaining its share of the U.S. market. Vancouver, the country’s largest container port, has always looked to Canada for the vast majority of its container volume,especially imports. 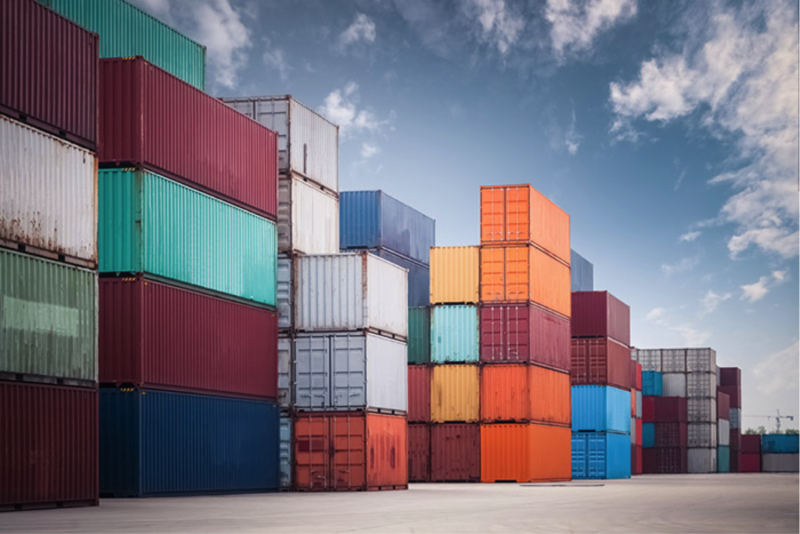 However, Philip Davies, principal, Davies Transportation Consulting in Vancouver, said Vancouver’s share of containerized imports in recent years has leveled off even though Canada’s imports have increased each year since the global recession of 2008-09. That is one of the reasons why Vancouver is moving more aggressively in the U.S. market, he said. Peter Xotta, vice president of planning and operations at Port Metro Vancouver, said providing efficient, cost-competitive port and transportation services for Canada is and will continue to be Vancouver’s primary mission. However, the port authority, its marine terminal operators and the shipping lines and railroads that serve Vancouver will also seek to fill any unused capacity they have with U.S. cargo. According to Ocean Shipping Consultants, if Vancouver is going to increase its market share in the U.S., it will rely heavily upon the CN and Canadian Pacific railroads, both of which serve the port. “The business is almost entirely rail driven,” said the report’s authors, Andy Penfold and Dean Davison. The authors said the main reasons for the port’s success in penetrating the U.S. market are the efficient operations of marine terminals in Vancouver and the cost-competitive inter-modal services offered by the Canadian railroads. The all-in transportation cost to Chicago through Vancouver is “considerably cheaper” than through Seattle-Tacoma, they said. The exact cost of shipping a 40-foot container from Asia to Chicago through Vancouver versus the Puget Sound ports is open to disagreement. North American railroads won’t discuss rates. 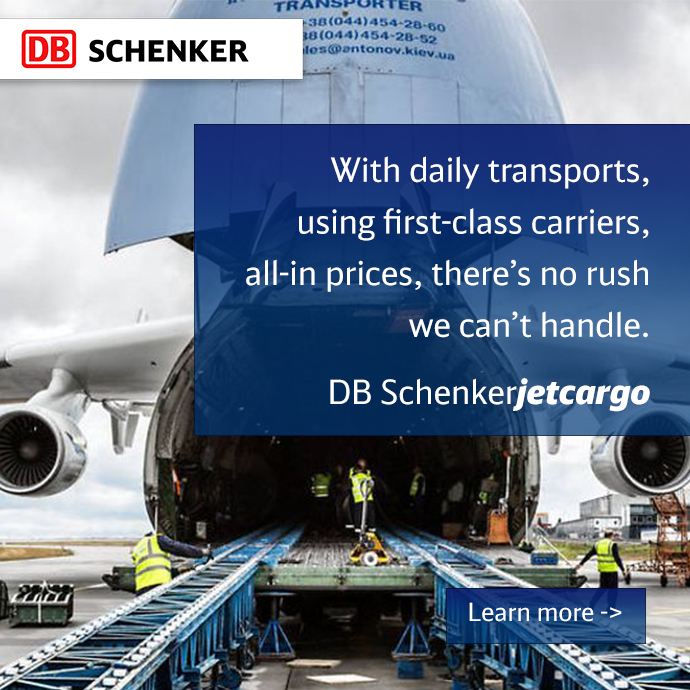 Other transportation charges, such as stevedoring costs, are also proprietary. Fluctuating exchange rates also have an impact, especially on the inland transportation move. Davies noted that the Canadian dollar is down to 82 U.S. cents, when several years ago it was almost at parity with the U.S. dollar. Given these factors, it is difficult to determine a number everyone can agree upon. However, Ocean Shipping Consultants concluded that shipping a 40-foot container from Kobe, Japan, to Chicago is about $600 cheaper through Vancouver than through Seattle-Tacoma. Mike Reilly, director of business development and inter-modal service at the Port of Tacoma, said the gap is about $200 to $400. It is generally accepted that the inter-modal rates charged by the CN and CP from Vancouver are lower than those charged by the Union Pacific and BNSF railroads through Seattle-Tacoma. The biggest problem for the Puget Sound ports, Davies said, is that the U.S. railroads “are focused on maximizing profits” whereas the Canadian railroads will go after freight that is not always the highest paying. Reilly said that formula could be changing as the BNSF and UP improve their efficiency. The Canadian railroads have done a good job in reducing their operating costs all along their networks, from the hand-off of the container at the marine terminals all the way to the irinland depots in the U.S. and Canada, he said, but the U.S. railroads are gaining quickly. Reilly said BNSF and UP are running longer, faster trains, and they are reducing dwell times. The Port of Tacoma for some time now has maintained an operations center through which the port, the railroads, shipping lines, trucking companies and cargo interests communicate at least three times each day to discuss vessel arrivals and traffic projections for the day “so there are no surprises,” Reilly said. The operations center, like other operational functions in Puget Sound, is expanding to include Seattle as the two ports roll out their Seaport Alliance, he added. Reilly also noted that BNSF and UP continue to attract more retailers and other cargo interests to their rail logistics hubs outside of Chicago. Those hubs locate import distribution centers close to the rail ramps, which gives importers a shorter, less-costly drayage move to their warehouses. Reilly said the lower drayage cost on the receiving end reduces some of the cost advantage importers through the Canadian ports have on the rail move because the Canadian railroads’ depots are not as strategically located as the U.S. railroads’ depots are in the Chicago area. Ocean Shipping Consultants expects that Vancouver will continue to increase its market share of total containerized imports moving through the U.S.-Canadian Pacific Northwest region, unless Port Metro Vancouver runs out of marine terminal capacity before the anticipated completion of the Roberts Bank Terminal 2 in 2022-23. “There is already a pressing need for further investment in capacity at container terminals in Vancouver if potential demand is not to be lost,” the report stated. Indeed, a graphic in the report indicates that Vancouver’s container volumes are already getting dangerously close to 85 percent of the port’s marine terminal capacity. In the terminal industry, operating a facility beyond 85 percent of its listed capacity is considered a danger zone in which productivity begins to degrade. Xotta said Vancouver is constantly upgrading its physical capacity through incremental additions to marine terminal, rail and roadway infrastructure. Also, the port and its transportation providers are expanding effective throughput capacity through more efficient processes. The Ocean Shipping Consultants report was commissioned to determine the economic feasibility of constructing a new container facility at Terminal 2, and the cargo projections for the region indicate that if Vancouver builds a new terminal, the cargo will come. In its base case scenario,the report projects container volume for the entire Canadian-U.S. Pacific Northwest region will increase from 7.54 million TEUs in 2013 to 10.26 million TEUs in 2020 and 13.5 million TEUs in 2030. If Vancouver continues to increase its share of that growing market, it will definitely need another container terminal. Xotta noted that the port is moving through the approval process and has submitted the Environmental Impact Statement to the Canadian Environmental Assessment Agency. The process, which will include ample opportunities for public comments, is expected to take two to three years. Xotta said he believes the port will be successful in achieving approval and Terminal 2 will be ready for occupancy in 2022-23.